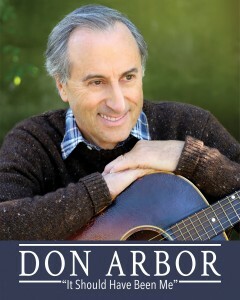 An In-Depth Interview With The Multi-Talented Musician DON ARBOR! Don Arbor is a multi-talented singer, songwriter, and award-winning video artist whose songs have been compared to such varied performers as George Harrison, Steely Dan, and Jason Mraz. Don’s latest single is “It Should Have Been Me”. His previous single “County D,” was released in the fall of 2014 and tells the moving story of leaving a familiar home behind, then finding life goes on, even better than before, yet never free of the memories. Don’s pure, soaring vocals and poetic lyrics are the perfect accompaniment to Barbara Higbie’s brilliant instrumental performance on piano and violin. Barbara is the Grammy-nominated co-founder of the Montreux band, and she has recorded for Windham Hill, and with Carlos Santana, Bonnie Raitt, and many others. Together, Don and Barbara have produced a magical, musical collaboration. Prior to “County D”, Don released a single titled “Another Sunny Day in Paradise” which spent the summer of 2013 climbing the Mediabase AC charts for 8 consecutive weeks, rising to number 16 and winning fans around the country. The song was also featured on iHeartRadio’s Digital Artist Program for the month of November 2013. “Another Sunny Day in Paradise” is one of 16 original tracks on Don’s two-disc album, “Man on a Mission,” which was released May 2013. “Man on a Mission” includes a “Mostly Electric” set of pop, rock and blues, and a “Mostly Acoustic” set showcasing Don’s warm vocals, memorable tunes and moving lyrics. The CD features an extraordinary group of gifted musicians, including Stef Burns, lead guitarist for Huey Lewis and the News; David K. Mathews, keyboardist with the Santana band; Kevin Hayes, drummer with Robert Cray; and Marc Russo, the gifted sax player with the Doobie Brothers and Tower of Power. Also featured on the acoustic tracks are several Grammy-nominated musicians, including Mike Marshall, mandolinist with Turtle Island Quartet; Barbara Higbie on violin and piano; and Quartet San Francisco on string arrangements. 2016 was a great year — Lots of playing and writing, lots of inspiration from my personal life, as well as events of the world. I have been in the studio this week, and some new songs will be coming out real soon, so 2017 is looking good so far! 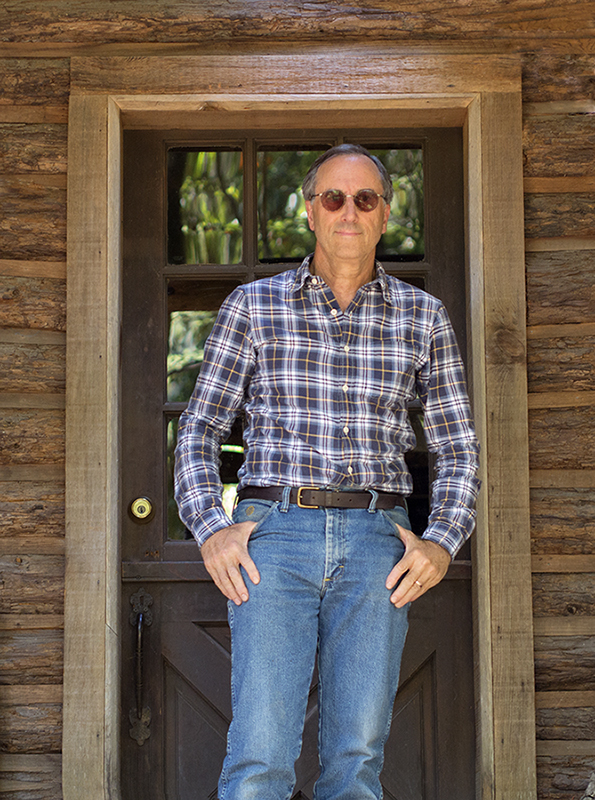 We also have a show coming up on April 26 at Freight and Salvage, a great venue in Berkeley, CA, and I’m very excited to share the new songs with the hometown crowd and the world. My earliest musical memories are hearing my parents sing together—they both had absolutely gorgeous voices, and they sang together on their first date. Very romantic, right? (Many years later, my wife, Jill, and I also sang together on our first date!) Growing up, I always loved singing and learning the harmonies on the radio hits—everything from the Beatles, to Motown, to Bob Marley, Rolling Stones. As for playing an instrument, the folks tried to get me to sit down long enough to learn piano, but I was too busy playing whatever sport was in season. I really took to guitar in my teen years, and I have loved it ever since. My high school girlfriend’s uncle had an old Gibson 1954 LG-2 in his attic, he wasn’t using it anymore, and he sold it to me for $35—I still play that guitar today. I understand that you are from the Bay Area. How do you think that has influenced your sound? What is the current music scene like there now? The Bay Area has been a hotbed of musical creativity since the 1960’s, and it’s still going strong. Most of the musicians I play and record with were born and raised here, and the others have made it their home. I feel blessed to record with folks like Kevin Hayes, the drummer in the Robert Cray band for over 20 years, Tal Morris, a guitarist who has played with Creedence Clearwater and Sons of Champlin, and Barbara Higbie, who has played piano, violin and mandolin with the Montreux Jazz Band and many, many others. 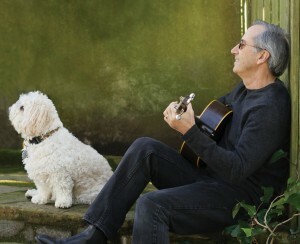 I have a lot of musical influences, my sound travels from rock to blues to acoustic, and these musicians can do it all. Let’s talk about your recently released single “It Should Have Been Me.” Where did the inspiration for this song come from exactly? How do you think it’s different or similar to anything else you have put out? “It Should Have Been Me” was inspired by hearing my wife (very innocently) tell me about a great trip she took to the wilds of the Northwest, long ago– with a former boyfriend! We were out on a bike ride at the time, I was just listening and riding, pedaling in rhythm, and telling myself, no need to get jealous, but still, — it should have been me! And so the seed of the song was planted. When it was done, I felt like it really captured what I was trying to say about being “in the moment” with the one I love, rather than getting too hung up on who we used to be with before we met. I’m really happy that the song and its message are connecting with the radio audience—it climbed the FMQB charts for several weeks in a row, then spent 2 weeks at #10—Very gratifying! As for the sound, some fans tell me they have been surprised that it sounds more “country” than my previous songs, but I have always liked country music, going all the way back to Hank Williams, and I think the new song is more “Americana” than pure “country,” with maybe a touch of Eagles in the mix. What do you think? I’m curious to know more about getting to work with all the musicians on your “Man on a Mission” album”. Do you have plans to do a collection like that again? Yes! In fact, I am working with some of them now, on the new recordings happening this month. And there was a set of five songs in 2015, including “County D,” which I co-wrote with Barbara Higbie, that also did well as a single release. Some of the musicians on “Man on a Mission” have many other commitments, like Stef Burns, who has been Huey Lewis and the News’ lead guitarist for many years, and David K. Matthews, who plays keyboards with Santana! But thankfully, we are all good friends as well as musical collaborators, and we work together whenever we can. For example, Stef Burns was here at our studio this month, laying down killer tracks on 2 new songs. It is always an inspiration to work with musicians of this caliber, who are also really great people. Your music video, “Salam Pax,” was a Best Music Video award winner at the Berkeley Video and Film Festival. Can you talk about what it meant to you winning that award? As you can tell, I take my inspirations from the real world, and I am not shy about expressing my opinions in song, so long as the song remains the main thing, and the message doesn’t turn into a sermon or the only reason to be singing. In the case of Salam Pax, the inspiration came from a real person—a 29-year-old Iraqi blogger who used that name because it means “Peace, Peace,” and also because he was afraid he would be killed if his true identity had been revealed. Salam Pax wrote hauntingly beautiful and ironic web posts about life in Baghdad in March 2003, as the American planes were preparing to drop bombs on his city. I was so inspired by his words that one day I found myself singing his name, then trying to imagine myself in his shoes. I had always envisioned the song as a video, and a talented director named Pam McCann helped make it happen. The video played in a number of festivals, and winning the award was a significant acknowledgment that the song and the video were hitting the mark. Has what drives you to make music changed over the years? With the constantly changing music industry, how do you keep up with it and grow with it? I think what drives me to make music has been pretty consistent over the years. I like melodies, harmonies, and good stories to tell. At times I have been more focused on the music than the words, but usually I get an idea of something I want to talk about, sing about, something I need to get out of my head and into other people’s ears! The industry has changed, in some ways that are good – especially the opportunities for everyone to be heard through Youtube, streaming, and the various Spotify/Pandora type services; but it gets harder and harder for musicians to make a living at playing music, and that’s a shame. I have really tried to take advantage of video, so that’s a change over the years, but I have stuck to pretty much actual instruments and actual players. No programmed drum tracks, very little use of synthesizers. I love the sound of real instruments! Next month, you have a show at Freight & Salvage Coffeehouse. Can you talk about what fans can expect from this performance? We played at the Freight in 2015, and this show will feature a completely different set, to let our fans hear more of our deep archive of tunes. “It Should Have Been Me” will be on the list, for sure, as will the two new songs we just recorded: “Hope Is Hard to Kill,” kind of an anthem rocker, and “Everyone Comes from Somewhere,” an ode to all who came to the U.S in search of a better life, and who have made up the great tapestry of our society. Then there will be some pure fun songs, like “Wild Blue,” a surf tune inspired by the first indoor surfing park in Yokohama Japan, and “Till I Kissed Becky,” a 3 minute-capsule version of the original “Invasion of the Body Snatchers” movie. Also, “She Cries at the Movies,” written for my wife, Jill. And, yes, she sure does. Who are some of your all-time favorite artists? Who would you love to work with in the future? Whenever I listen to the Beatles, I think they are pretty amazing and hard to top. But I love Motown, and Stevie Wonder continues to do amazing things. My favorite Bruce Springsteen record is ‘the Wild, the Innocent and the E Street Shuffle,” which speaks to my Jersey roots. I listened to a lot of Eagles back in the day, and I learned to play blues harmonica by listening to Little Walter’s “Hate to See You Go,” on Chess Records. In the current scene, I am one of Adele’s millions (billions?) of admirers; her unassuming personality and her amazing voice have earned her the spot at the top of the charts. I also listen to a lot of jazz, and Thelonious Monk, Kurt Elling and John Coltrane are among my favorite artists. As far as who I’d like to play with, there’s a great local group called the T Sisters, and I would love to hear their tight harmonies wrapped around one of my melodies someday. They are starting to make it big, and I love their sound. I think two things are going on. One, I want my listeners to feel like the songs reach them on multiple levels—as memorable melodies, well-crafted lyrics, and top-notch performances. And, maybe the most important thing, I’d like them to feel that the songs have integrity, that they came from some place real in me—whether it’s a fun song, a romantic song, or the most serious ever, it’s what I was really feeling when I wrote it, and it just had to come out that way! Yes, a couple of things: One, I am a believer in the universality of music as a way to bring people together, and we need that more than ever. And, two, I would be remiss if I did not mention that my wife, Jill Suttie, is a great singer and songwriter, and that one of her songs, “Come and Find It,” has been on the charts. Music helped bring us together, and we still sing together now—including getting ready for the Freight and Salvage show on April 26! Thanks for your interest and time. An Interview with The Indie-Rock/Pop Band SAM CASH & THE ROMANTIC DOGS! An Interview With Portland, Oregon Based Musician, JOSHUA HATKINS!